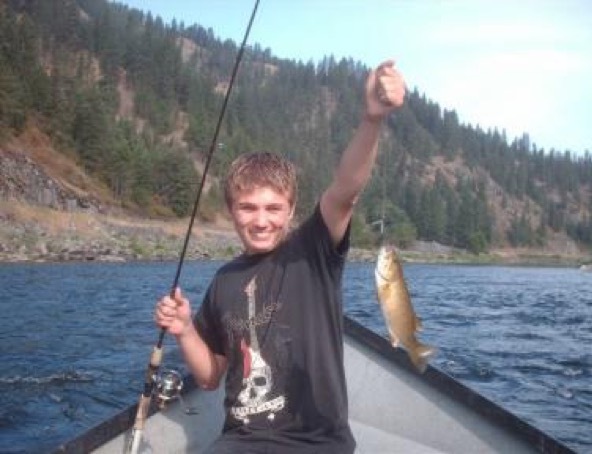 We invite you to come and enjoy some of the best fishing in the Western United States. 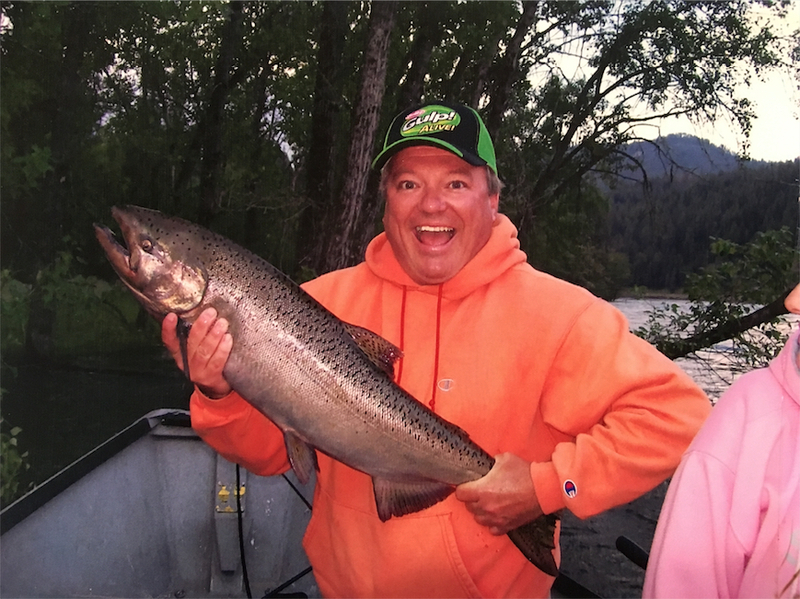 The Clearwater River Valley is the home of some of the largest B-Run Steelhead in the world, and also offers one of the area’s little-known secret pleasures – an all-inclusive angling float trip with the chance of catching your trophy Steelhead. 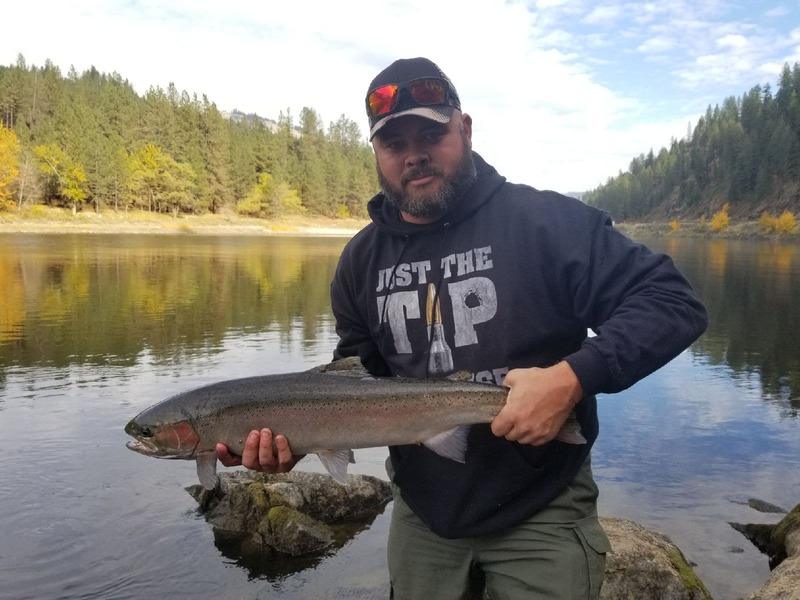 Anglers from all over the country come in the spring and early summer to fish for Salmon as they return from their journey to the Pacific Ocean or maybe a summer Smallmouth Bass or Lewis and Clark Steelhead Trip are the options you would choose. See more about the trips below and book today for the fishing trip of a lifetime. 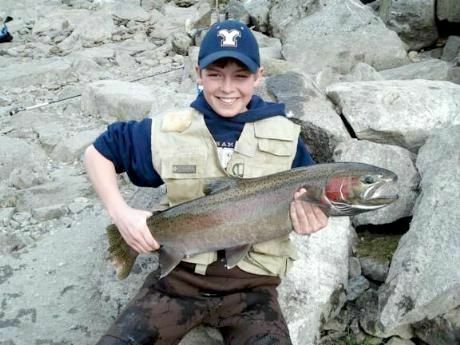 With over 30 Years of experience Steelhead Mania offers guided fishing for all ages & all levels of experience. Seniors, couples & children welcome! Our motto is Producing Fish every day! 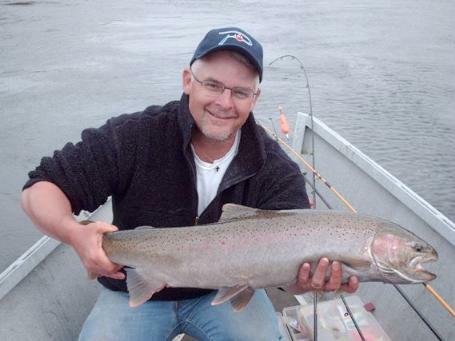 Russ topples the national average with a whopping 3.75 Steelhead landed daily! Book your tip of a lifetime today! Set out on a professionally guided, all-day trip with Riverside Guide Shop’s guides and land that trophy fish of your dreams. Plenty of fish over 20 pounds landed each season! 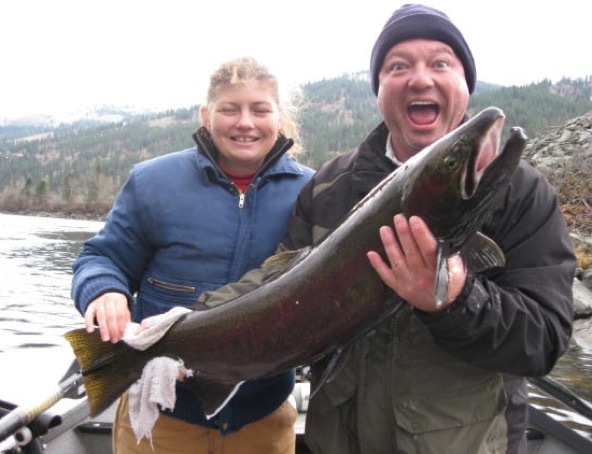 Northern Idaho Fishing School is brought to you by Riverside Guide Service. One by one we are creating anglers that understand the method of tracking and catching fish. When you purchase gear from us, you will be buying the same gear used by our professional guides on the Clearwater River. We only sell what works, not gimmicks. Why exactly do giant steelhead enter the Clearwater River System? 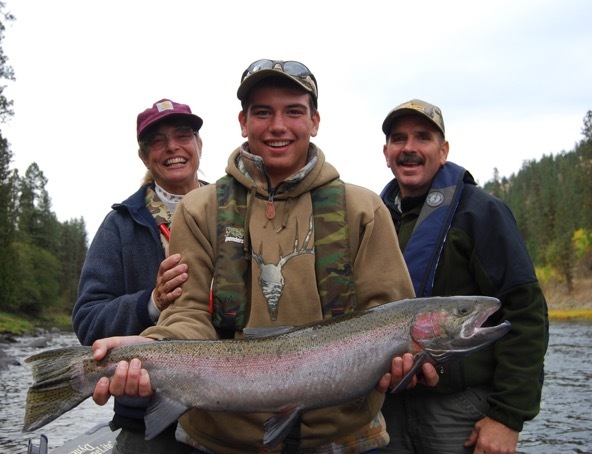 Learn all sorts of useful and important information about steelhead fishing in Norther Idaho.